Synopsis: "When given full freedom, many men will piddle.So it is for middle-aged college professor Adam Cherry on Father’s Day. Alone for the day on his newly purchased horse farm in the Midwest, his two daughters and wife away or abroad, Adam finds excitement in an entire day to piddle away―his Father’s Day gift to himself.But this day is one of challenges and interruptions. 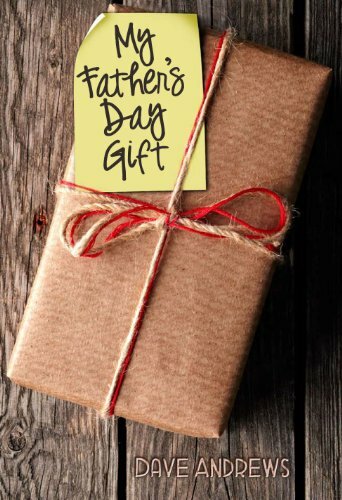 And each one helps him understand what Father’s Day is truly about.As Adam navigates his Father’s Day, the fatherly influences of seven male role models reveal themselves in the choices he makes, or avoids, and in the behavior he reveals. As the day winds down, he finds himself recalling his own father, and one particularly memorable Father’s Day many years ago.Through it all, the love Adam has found in his newfound rugged farm lifestyle shines through. He shares his passion and struggles as he learns to train horses, fish in his own pond, fix farm equipment, abate snakes, and wield a chainsaw. Though once resistant to his wife’s push to buy the farm, Adam comes to realize that he wanted it, or even needed it, as much as she did. It’s the simple joy he finds in rural life which reveals the man that his role models have made him.Adam’s voice is warm and likeable, and remarkably honest. This is a man seeing himself with clear eyes, with crudeness, impatience, recklessness, and anger intact. The edges are rough and the man is naked. It may not be pretty, but in a very real way, it is beautiful.My Father’s Day Gift is a tribute to the importance of male role models?fatherly influences?in the demonstrable character of a man. The influence comes not from lengthy conversations or direct instruction, but the distinct and impressionable moments in everyday interactions.Author David Andrews includes a preface that explains his reasons for writing such a story. His two appendices include a short list of the top ten ways to acknowledge the meaningful mentors in your life, including your father. The second appendix is a vital list of fathering and mentoring resources.My Father’s Day Gift is a salute not only to fathers everywhere, but to Father’s Day itself. But Andrews wrote this novel fundamentally for his own father, who passed away only five weeks after reading it.This book is published in his memory.Author David Andrews, one of the nation’s foremost experts on education and the impact of adults on the emerging lives of children, is Dean of the Johns Hopkins University’s top-ranked School of Education.As a professor at three major research universities, he has written extensively about the role of adults in parenting, educating, and shaping the future of children.Dr. Andrews is a highly regarded advocate for children and, as such, has been recognized with numerous awards, including the Champion of Children Award, National Family Advocate, and many others.Originally from Pensacola, Florida, where his father was a well-known newspaper publisher, and where he attended junior college, Andrews has spent his adult life on university campuses across the country. His undergraduate degree is from Auburn University, his masters from Kansas State University, and his doctorate from Florida State University. He has held professorial and administrative posts at Oregon State University and Ohio State University. He now holds appointments in both education and public health at Johns Hopkins University.He currently resides in Baltimore, Maryland, with his wife Marti and their horses and dog. They have two adult children (both daughters).As he lectures and works with parents, teachers, coaches, and mentors around the world, Dr. Andrews continues to advocate for adults’ meaningful involvement in the lives of young people. About the Author&colon; Author David Andrews, one of the nation's foremost experts on education and the impact of adults on the emerging lives of children, is Dean of the Johns Hopkins University's top-ranked School of Education. As a professor at three major research universities, he has written extensively about the role of adults in parenting, educating, and shaping the future of children. Dr. Andrews is a highly regarded advocate for children and, as such, has been recognized with numerous awards, including the Champion of Children Award, National Family Advocate, and many others. Originally from Pensacola, Florida, where his father was a well-known newspaper publisher, and where he attended junior college, Andrews has spent his adult life on university campuses across the country. His undergraduate degree is from Auburn University, his masters from Kansas State University, and his doctorate from Florida State University. He has held professorial and administrative posts at Oregon State University and Ohio State University. He now holds appointments in both education and public health at Johns Hopkins University. He currently resides in Baltimore, Maryland, with his wife Marti and their horses and dog. They have two adult children (both daughters). As he lectures and works with parents, teachers, coaches, and mentors around the world, Dr. Andrews continues to advocate for adults meaningful involvement in the lives of young people.